After a very successful moneta party, I am now needing to relax and decompress from a over exciteable weekend. 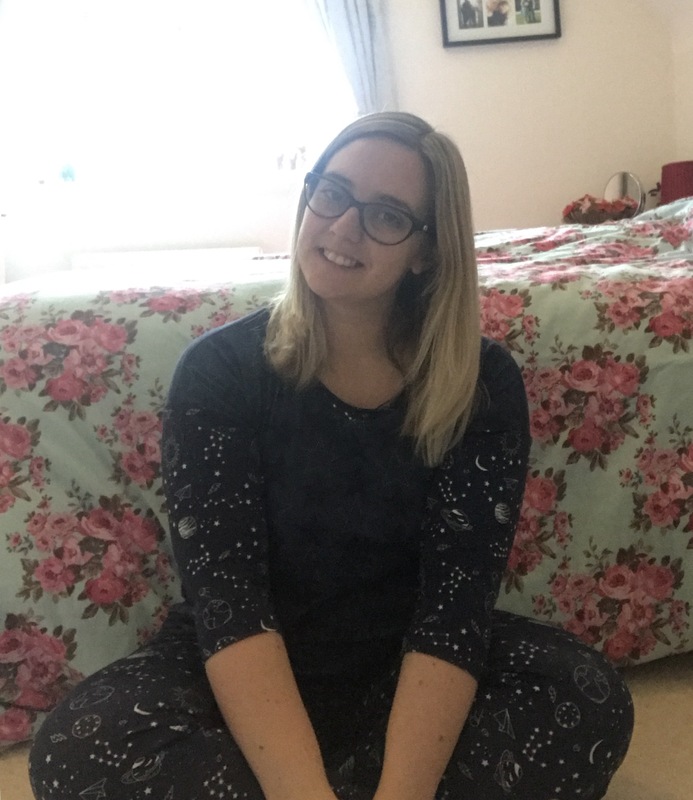 And what better way to decompress than with new pyjamas!! 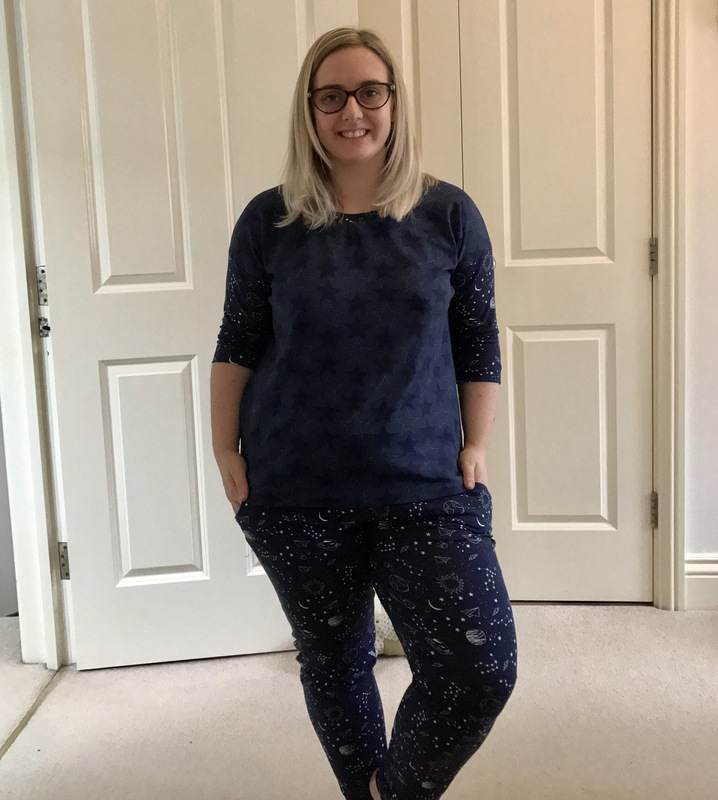 This year was the first year that I didn’t get new pyjamas for Christmas (26 year tradition over!!). 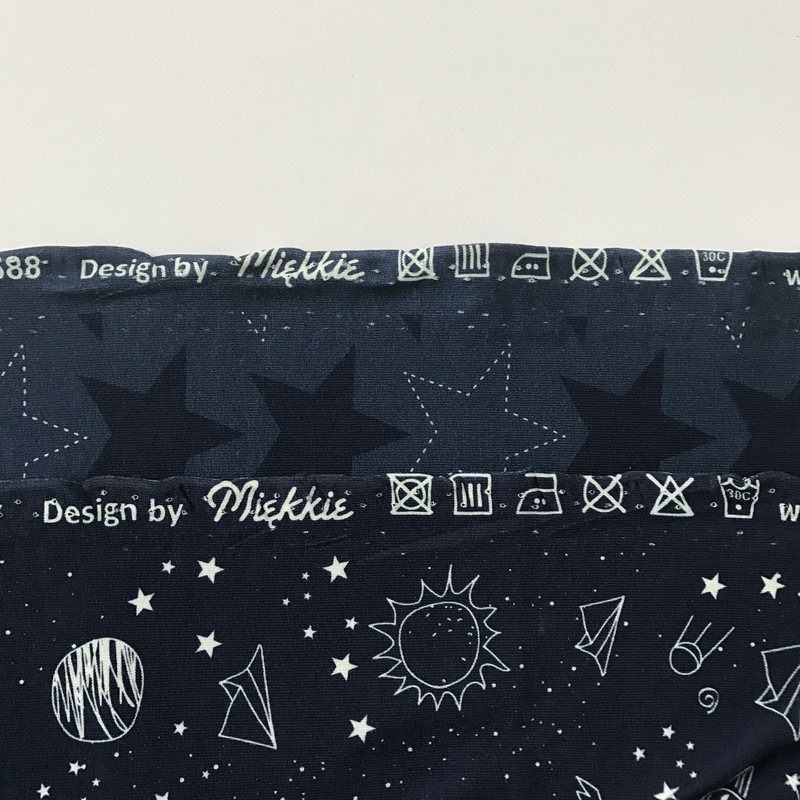 In January, Miekkie contacted me about their fabric, and I instantly knew I wanted to make a new tradition and make my own pyjamas. 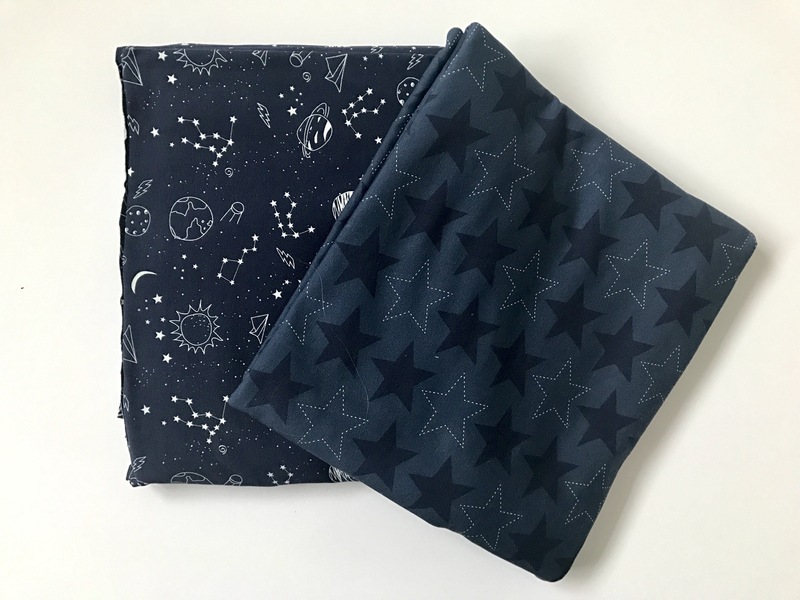 Miekkie kindly sent me their constellations fabric and also their star fabric, which I thought were perfect for full nights of sweet dreams. I opted for the True Bias Hudson pants as these are similar to my favourite jogging pants, with the ankle cuff. 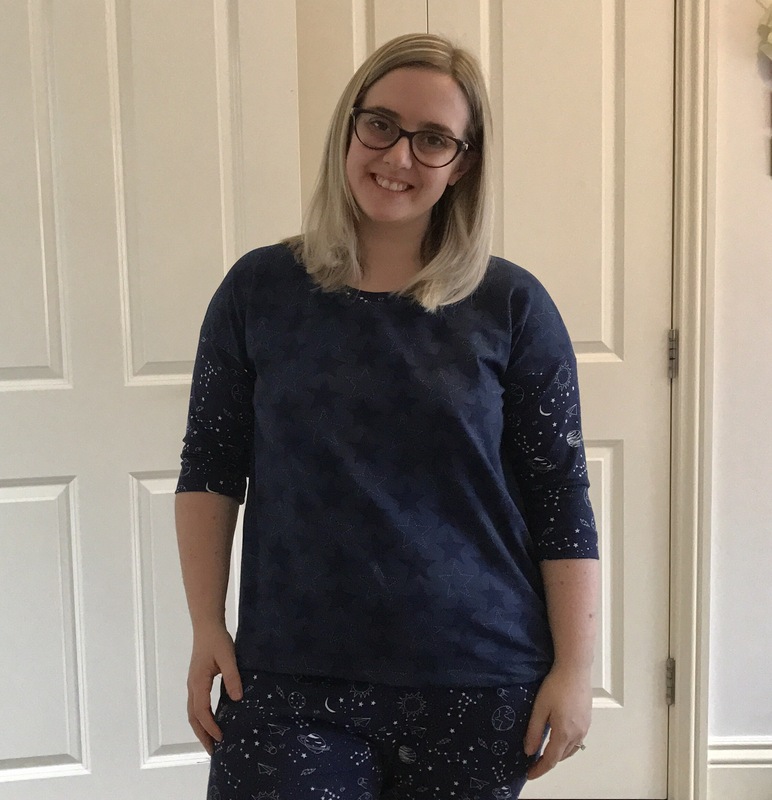 And for the top half I was persuaded by Rach Wain to try the Grainline Studio hemlock tee. I was keen as it was free, and trusted her as she has made so many for her mum. 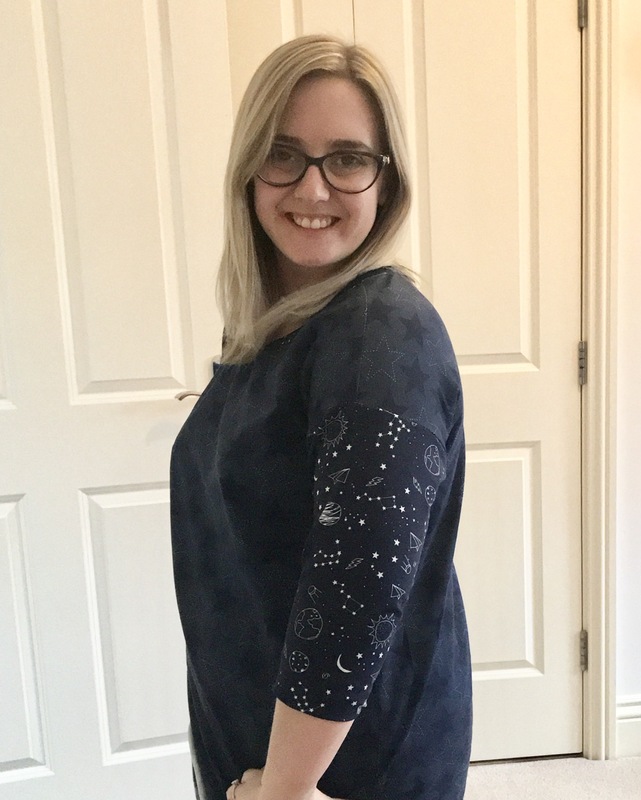 For the hemlock I decided to go for contrast sleeves and I love the look it gives, and then I just used the constellations fabric for the pants. 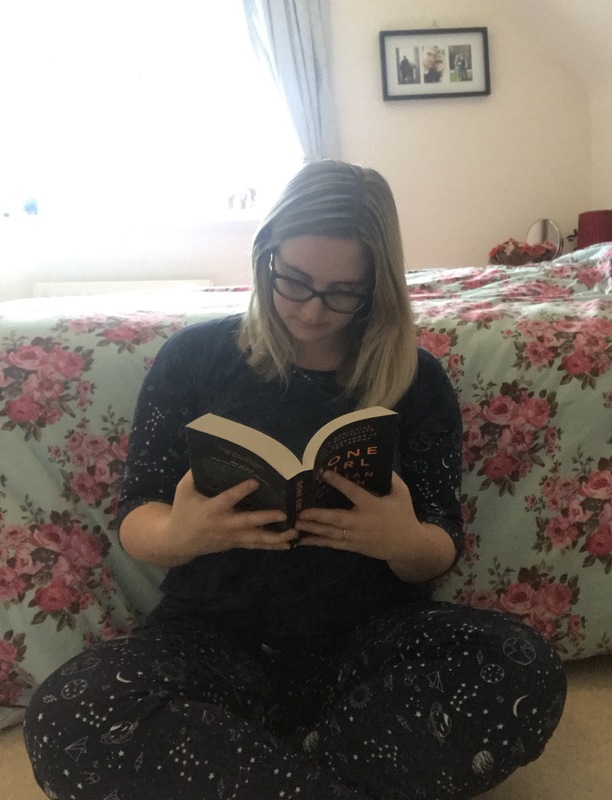 I don’t often have time to read, but this weekend I actually did. Hallelujah. 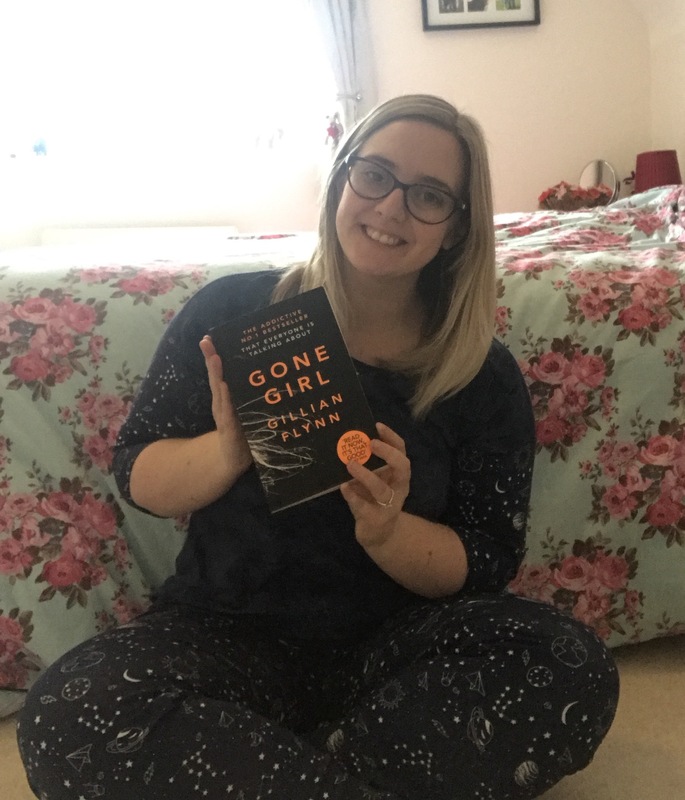 Currently reading Gone Girl. I loved the movie so thought I would give the book a go. Anyone else read it? 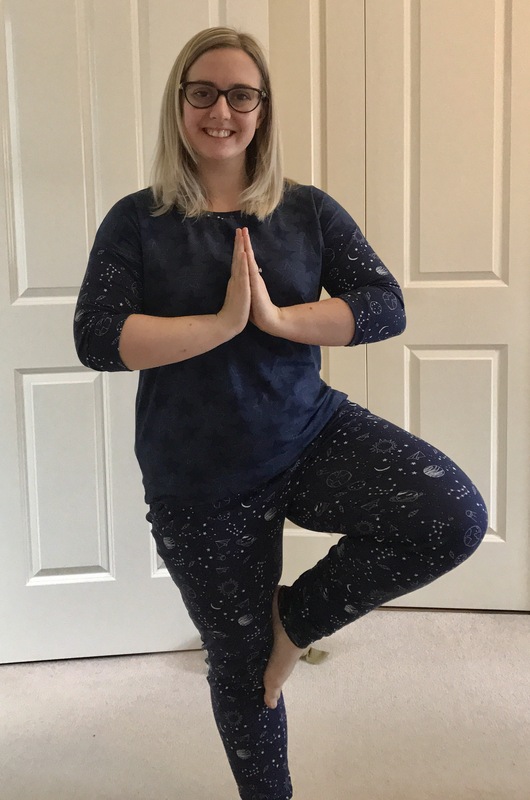 I love love love my new pyjamas but I also think they could be great as yoga pants too!! It was so easy to sew them up, and so super fast. 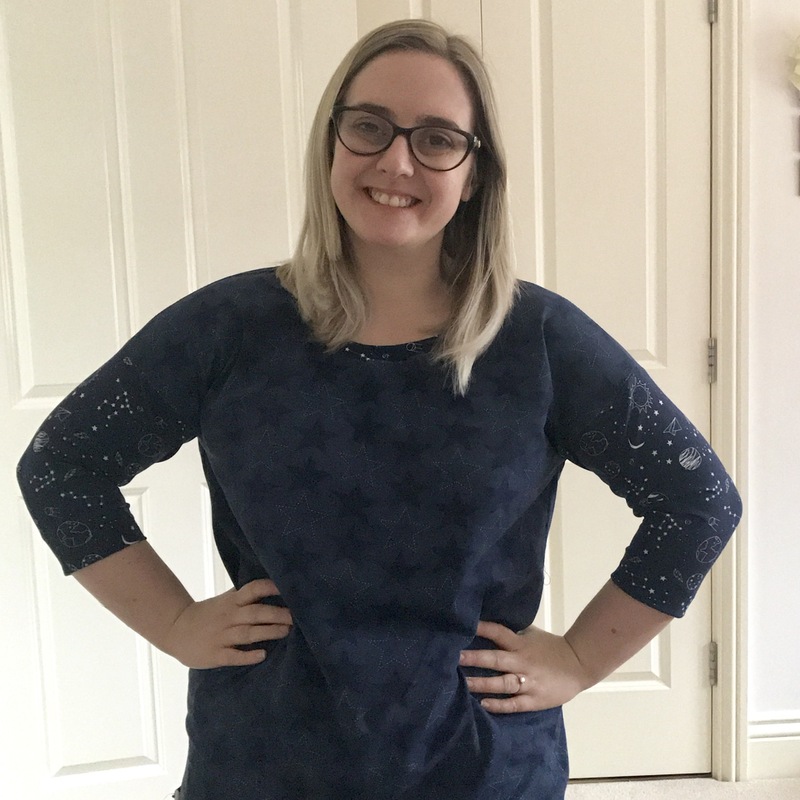 The fabric did well with a combination of the overlocker and regular sewing machine, and even with the regular sewing machine the fabric didn’t stretch out. What a dream. (Discount code will run until 31st March 2017, and does not apply for sale items). 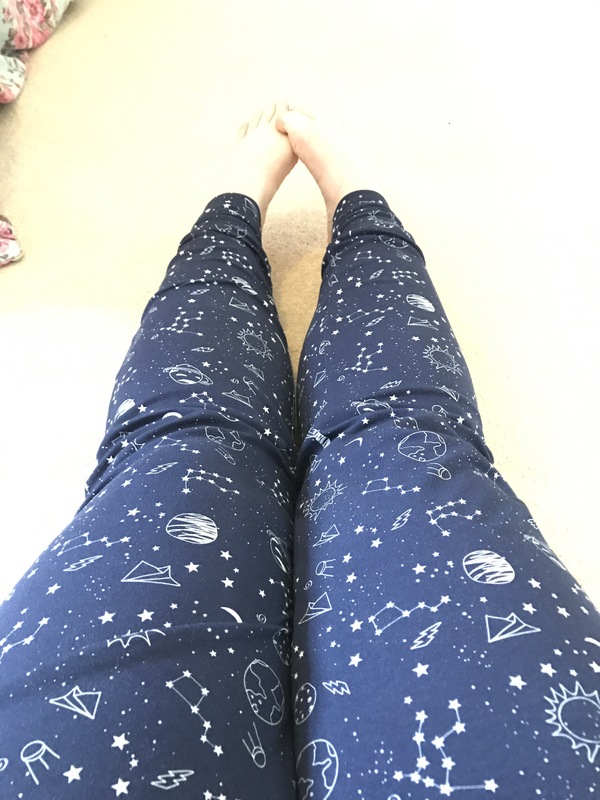 Love your new jammies, they look so comfy and love what you did with the prints.